Hope for Youth relies solely on the generous involvement of volunteers for conducting our programs. Without your help, we simply would not be able to fulfill our mission of reaching and discipling the transient and at-risk youth who need us most. You can make a difference in these students’ lives by volunteering to work either directly with the youth or behind the scenes. Hope For Youth is built on the unique principle that we transport youth to events regardless of where they live in the city or how many times they move. To carry out this task we need volunteers who can drive students to our programs. Transporting youth provides a unique opportunity to build relationships while spending time in the car. We are always looking for volunteers to help with our Friday Night Live events and other large group activities hosted each month. Volunteering in this role would consist of picking up youth and taking them to the event, playing games and interacting with them during worship time and leading or co-leading the small group discussion following the message for the night. We typically have 75-100 youth attend our large group events so we need lots of volunteer support! Mentors are to meet with their mentee at least 3x each month. We have a curriculum that is available however we strongly encourage lifestyle evangelism. Doing life with a student (taking them to church, going on field trips, hanging out with your family) is powerful and allows a student to learn and see their Mentor walk out their faith on a daily basis. All Volunteers must be approved and be involved with other programs and events at Hope for Youth. College and Career Prep is a weekly program for 10th through 12th graders to assist them in applying to and preparing for college, career or the military, as well as helping them develop the skills they will need for life after high school. THe program meets every other Monday evening from 6:30-8:30PM. As we cover topics from financial aid to creating a budget, we continue to point them to a growing relationship with Jesus. 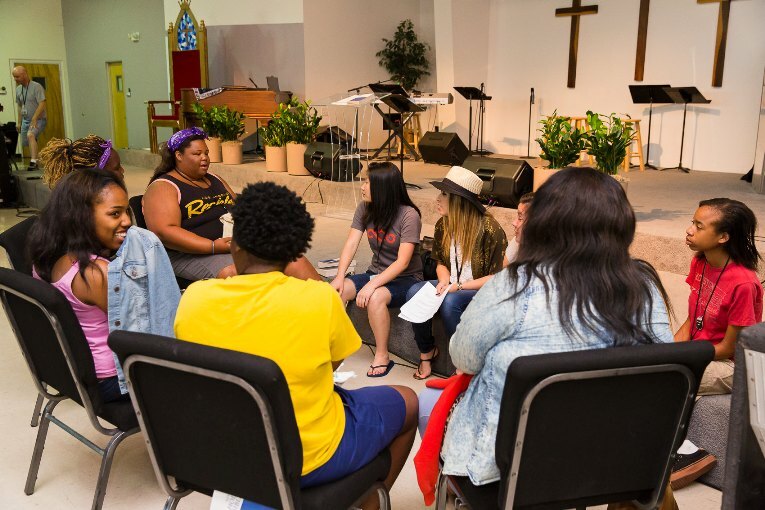 Volunteers help transport youth to and from their homes as well as help them navigate the different lessons and offer their advice and wisdom regarding life after high school. If you are gifted in the arts of photography, videography or sound technology we can always find a place for you! Our kids like seeing photos of themselves that we are able to share on social media and we are truly able to tell the story of what Hope For Youth does through photos and video.